Unlike term insurance, permanent life insurance can help someone “live more” for today, as it not only can help protect a family against life’s unknowns but it can also provide ongoing access to their money when it’s needed. However, the words you use to talk about the benefits of permanent life insurance can be crucial in whether or not you get a sale or keep a potential client from considering it in the future. 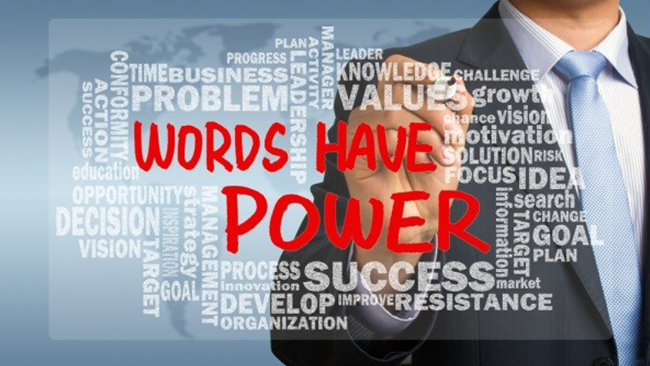 How you use your words with a potential client is talked about in an AXA Study by Maslansky and Partners called: “The New Language of Permanent Life Insurance.” They discover the language used to talk about permanent life insurance can have a huge impact. For instance, when talking about the benefits of permanent life, phrases like “death benefit” or “when you die” may be used. But what does a potential client hear or perceive from those words? Some may only hear the word “death” and are reminded of their own mortality. Instead, the study showed that when language like “the financial security benefit for your family” or “when you can no longer provide for your family” was used, it had more of an impact and was more influential. So Who Are They Protecting? It can be tricky talking about beneficiaries, as it’s easy to sound too corporate and informal, but it could turn them off if you’re too personal. Some financial professionals have found when they describe beneficiaries with plain and simple language and used a word like “family,” the potential client was more engaged. If they were overly formal or informal, it had the potential to alienate the audience. When talking to clients about cash value in permanent life insurance, use the word “access” rather than “loans.” The AXA study showed it’s best to avoid talking about cash value as a “loan” at all. Since it’s the client’s money in the policy, they don’t think they should be charged if they need to use it, which is what the word “loan” implies to them. When you focus on access, you make it clear they can get to it if needed, without signaling that there may be a fee. These are just a few examples of how the language used can impact a client’s perspective on permanent life insurance. The goal is to use words that keep them in the conversation, so they can “live more” for today but also save for the future. However a financial professional must be careful to not oversell its importance, because it could turn a potential client off from further conversation. Because to them, it’s not a must-have – at least not yet. Many financial professionals struggle with getting in front of the right target market that can benefit from the long term performance of IUL. Download this valuable e-book "The Five Keys to Selling IUL Virtually" and you'll discover a better way to prospect and grow your business. Source: AXA “White Paper: The New Language of Permanent Life Insurance,” https://us.axa.com/email-attachments/w/lif/2015/154700.pdf, last accessed 3/21/16. Both loans and withdrawals from a permanent life insurance policy may be subject to penalties and fees and, along with any accrued loan interest, will reduce the policy's account value and death benefit. Assuming a policy is not a Modified Endowment Contract (MEC), withdrawals are taxed only to the ex that they exceed the policy owner's cost basis in the policy and usually loans are free from current federal taxation. A policy loan could result in tax consequences if the policy lapses or is surrendered while a loan is outstanding. Distributions from MECs are subject to federal income tax to the extent of the gain in the policy and taxable distributions are subject to a 10% additional tax prior to age 59½, with certain exceptions.